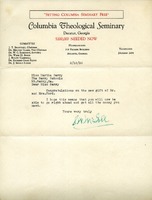 A congratulatory letter for hiring Dr. Robet Barlett, past of "The Community Church" of Longmeadow, Massachusetts. 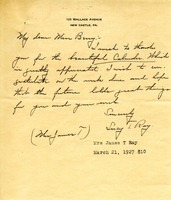 A letter expressing thanks for Mrs. Hoge's get well message when Martha was away. 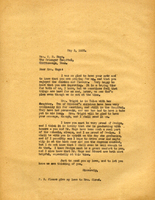 Also, she updates Mrs. Hoge on Mrs. Wright's sick children, and congratulates Mrs. Hoge on her daughter Evelyn graduating with honors. 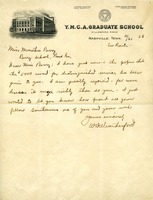 Martha Berry thanks Mrs. Cotton for her gift which came at a time when Berry is really struggling. 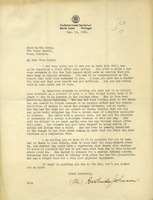 A letter from the New Orleans Chapter of the DAR congratulating Miss Martha Berry for achieving the five thousand dollar award in the Pictorial Review for 1929. 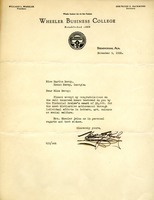 Letter indicates contribution of $10 and congratulations for winning an unstated prize. 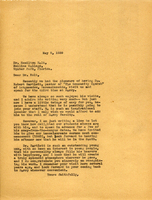 Letter of congratulations on Martha Berry winning the Pictorial Review's award of $5000 for distinctive achievement in social welfare. 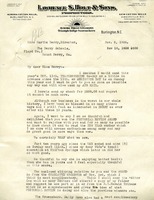 A letter to Miss Berry with Erwin Holt' s annual Thanksgiving $500 dollar donation attached. He states his great love for Berry and desire to support it. 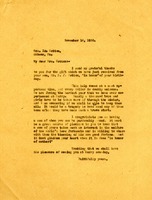 Next, he mentions that he was so thankful and delighted that Martha won the Pictorial Review Award. Erwin next talks about the great increase of his wife's health after her tonsil surgery. 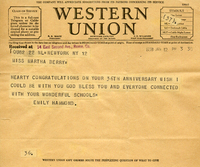 Erwin Holt also mentions that he has included a clipping of the article relative to Miss Berry and the Award, and says he will definitely be thinking of her on Nov. 20th when she receives the award. 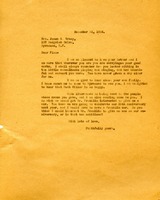 This is a letter from Martha Berry to Mrs. James Tracy in which she tells her she is very glad to hear from her. 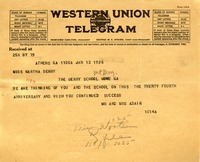 Martha Berry then goes on to congratulate Mrs. Tracy on everything she has accomplished.